On the move? : Fianna Fail Cllr Brendan Mulroy was surprised to find he had switched parties according to Mayo County Council's annual report. The October meeting of Mayo County Council took place this week and there was plenty of debate in the chamber. There was widespread praise from councillors from the Ballina Municipal District for all of the efforts the local authority put into the recent Other Voices festival in the north Mayo town, at the October meeting of Mayo County Council this week. "Other Voices was one of the best things to happen this county in a very long time. "It took a long time to pull it together. It was initiated back in 2015, it takes that long to get these things going. You had lots of input from the team in Ballina and an awful lot of people put an awful lot into it. "To put it in perspective, we had coverage in nine national newspapers, four different media channels, massive social media coverage - and the direct gain to the town is in the order of €1 milllon. "The series will run on TV for ten weeks in March and three of those will be dedicated to Ballina - and hopefully it will continue and we will get at least one more spin next year." Transport Infrastructure Ireland (TII ) is expected to have a contractor appointed by the end of the month to install new speed limit signs on the N58 from Foxford to Ballyvary road, where the limit has been reduced from 100km per hour to 80km per hour. The issue was raised at the October meeting of Mayo County Council by Fine Gael Cllr Neil Cruise, who had previously raised it at the Ballina Municipal District meeting last month. Chief executive of Mayo County Council, Peter Hynes told the councillor that TII had confirmed they would have a contractor appointed to change the signs by the end of the month. The issue of the change in the speed limit has become a topic of much conversation in the north Mayo area, with a petition organised by business owners in Ballina calling for the reversal of the decision - on the basis that the reduced speed limit would have a negative impact on the town. Responding to a query from Westport based Fianna Fáil Councillor Brendan Mulroy, the chief executive of Mayo County Council, Peter Hynes, said there are no plans for a repository for Japanese knotweed in the county at present. At Monday's monthly meeting of Mayo County Council Mr Hynes stated: "We have no repository in the county, as of now two things happen; it is sprayed in situ over three, four or five years, whatever it takes, or if you need to get it removed, there are a number of licenced repositories in the country. "We don't have one and don't intend to at the moment. If we change policy and decide we need to be able to deal with it in a certain way - we will bring it back before the chamber here." At Monday's monthly meeting of Mayo County Council, Castlebar based Fianna Fáil Cllr Martin McLoughlin, raised the issue of more car parking space being needed at The National Museum of Country Life at Turlough Park House. Cllr McLoughlin said that especially since the new playground had opened up on the grounds of the house, car parking was becoming an issue. Responding, Peter Hynes, chief executive of Mayo County Council, said: "The good news on Turlough House is that the numbers continue to grow and there has been in the region of a 50 per cent increase, which is something in the region of 120,000 visitors into the house. "Expanding the car park is a matter for the museum and we are in discussions with them, it will probably require the purchase of some land." The elected members of Mayo County Council adopted the authority's annual report for 2017 at their monthly meeting this week, albeit with one surprising inclusion. 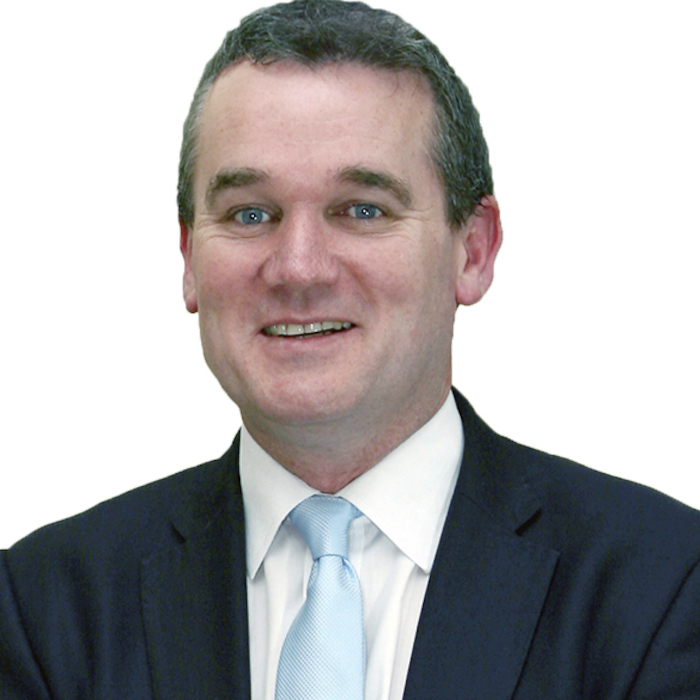 Fianna Fáil Cllr Brendan Mulroy was surprised to find, that according to the report, he had switched allegiances to the Fine Gael side of the house. The Westport based councillor took it all in good jest, even after it was pointed out to him that he was wearing the right colour shirt for his switch at the meeting.